Axis Of Oversteer: When is a BMW an Audi and an Audi a BMW? When is a BMW an Audi and an Audi a BMW? 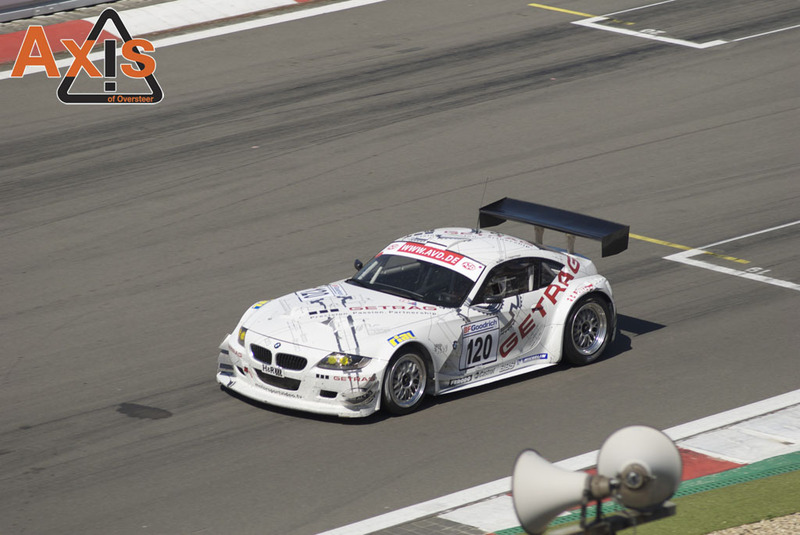 "The winning Getrag-Z4 does not use BMW's wonderful (but sadly by now outwitted) s54 engine but a used v8 out of an old DTM-Audi tt (when Audi tuner Abt and not Audi themselves raced, some years ago). This engine has been used by Getrag before in their now retired e46-m3 racer. Rather funny though: the "Audi"-TT engine didn't start life as an Audi engine at all, Abt didn`t have time or resources in those days to build up their own (Audi) motor, so they bought a BMW Race engine from a swiss Race franchise (probably Mader, but I don't know for sure). So, a BMW z4 with a BMW-Audi-BMW-engine. And fast it is..."
Here is an onboard lap in the FrankenZ4 from the ring-emotionen collection. Ugly but very effective ! Surely that lump in anything would be savage though. Will it fit in an Exige ?